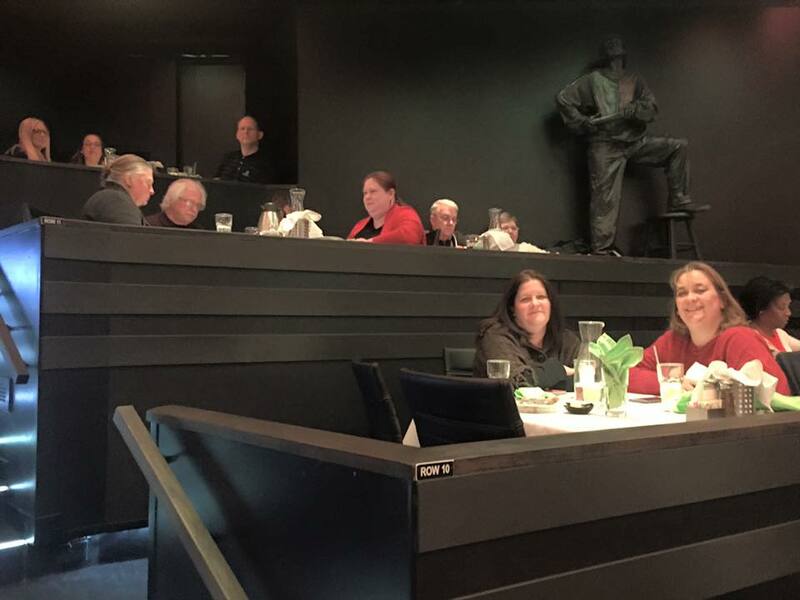 About 26 St. Martins Parishioners had a good time on February 13th at the New Theater Restaurant in Overland Park. We had a nice buffet dinner and saw the play called "Out of Order". Gary Sandy from WKRP in Cincinnati was in it, along with Father Alan Tilson who has held services at our church. ​A dead body is found on the balcony at the Watergate Hotel by a less than ethical US Senator who has booked the room for nefarious purposes. If the body is discovered, the Senator’s career will tank, so he has his assistant remove it only to ﬁnd that it keeps reappearing every time. This crazy shell game involves a conniving waiter, an alert private detective, a suspicious hotel manager, an angry wife, a furious husband, a bungling secretary and an unconscious nurse, creating one of the cleverest and funniest hide-and-seek farces ever written.